We focus on sourcing coffee with distinctive character from farmers dedicated to producing outstanding crops. We’re constantly introducing new coffees into our line up as we discover new beans that are just too good not to share. We respect the coffee farming community and the important role they play in our industry. Where possible we source from farms, co-ops or milling stations where we have established a direct relationship, and only work with reputable partners who share our dedication to coffee quality and support ethical practices at origin. 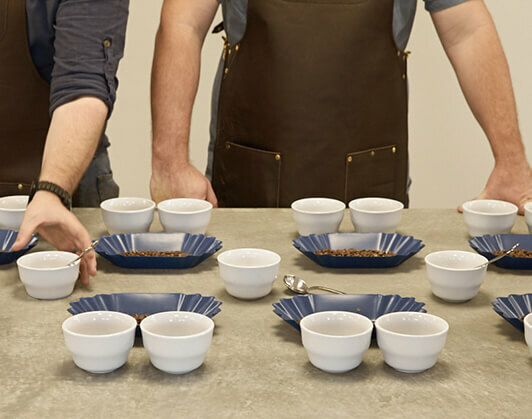 We’re lucky to have some of the industry’s most refined palates on our cupping panel. From Q Graders to international judges, our panel assesses every delivery of green beans on arrival and again after blending to ensure each batch hits its full flavour stride. Our Cupping Room in Manly Vale has been built to SCA standards with public cupping sessions run regularly to showcase outstanding coffees. With additional micro roasteries in Canberra and Brisbane to support local markets. Our master roasters have spent years perfecting the ideal roast profiles for each of our blends, however, we leave nothing to chance. Each and every batch is carefully monitored with tweaks made to ensure the sweet spot is hit every time; that split second where body, sweetness and acidity are balanced in perfect harmony. Balancing acidity, refining sweetness and skilfully nurturing body and length is key to developing a great cup of coffee. We are proud to be one of the few roasters that offer a diverse range of crafted blends, each showcasing a different expression of coffee quality and character. No matter how much care we put into sourcing, roasting and blending, it can all be undone by poor packaging and storage. We take great pride in preserving coffee freshness by quickly packing each roast into oxygen-free triple-poly bags with premium one-way valves. 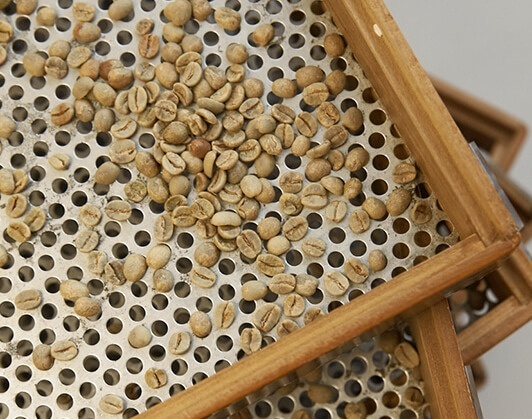 Each roast is left to rest in a controlled environment to ensure it’s at its absolute best when it arrives in the hands of our trusted Baristas.